I am bursting at the seams happy about this new duffle pattern: the Cargo Duffle! The lovely folks at Robert Kaufman asked me to come up with a pattern that they could post on their website. You know what that means, right? It’s for YOU and it’s FREE! I can see this pattern working with so many fabrics and it’s just the perfect size (if you ask me) for an overnight bag or carry on. And those cute front pockets?! Aren’t they awesome?! I want to squish them. So are you ready to make a Cargo Duffle? It’s available now! There is a downloadable PDF on the Robert Kaufman website and you can get busy and make your own! Just in time for all the Holiday fun, too! This duffle was made with the awesome new line by Carolyn Friedlander called Botanics. I feel genuinely giddy over how awesome they are and couldn’t be happier with being able to sew with them. Carolyn has this beautiful way with design and color, to me it’s pure heaven (on fabric that is). I have a few more to show you, so stay tuned! Hurrah! PS. in the pattern I call for a 26″ coverall zipper, they’re lovely because they zip from both ends. I found the Coats & Clark ones at my local Hancock Fabrics. I also use a YKK brand, Coverall 26″ Zipper . The snaps are Dritz brand (also purchased at Hancock) size 24. You can also find great snaps at Snap Source. Oh, and I would be thrilled to see any you make! You can add them to the Noodlehead flickr group or the Robert Kaufman flickr group or both! The amazon link to the zippers is an affiliate link, but of course I definitely recommend them, and have purchased them myself. Woohoo thank you thank you thank you it is gorgeous and I can’t wait to make one!! Thank you so much! 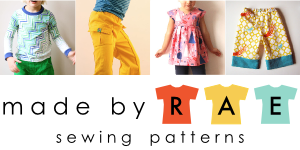 I can´t believe we are getting your wonderful instructions and pattern for free! Your bags are the best! yay! i saw the bags in person at market and they are fantastic! so excited to make one (or three!). This bag looks so nice and professional! Thanks a bunch for coming up with such a great pattern to share with us. You are a rockstar. I also saw these at market and they are gorgeous! I’m so excited about this! Saw it on Carolyn’s FB posts from market and about fell off my chair when she said – free download! Thanks for sharing all your great work! Wow – fabulous. It would be great with upcycled fabrics, too. How awesome is that!! Thank you Anna! Whaaaat?!?! This is awesome! Definitely making one. You rock, Anna! It’s lovely and so generous of you and Robert Kaufman! that bag rocks! now i am going to have to add it to my ever growing things to make before christmas list! It’s so awesome!!!! Love the front pockets! I just downloaded the pattern! I saw this bag at Market and I loved it so much! Thank you – thank you! Just this morning I was thinking about making duffle bags like this for my grandsons this Christmas. This is perfect — and very easy to find with your links. Thanks again. Ah! A free version of one of your fabulous bags – and I’ve been needing an overnight bag, you must have read my mind. 😉 This is fabulous. I can’t wait to pick out fabrics and try it. Thank you so much! Oh my gosh woman!! you did it again!! AWESOME!! Well aren’t you sweet! Can’t wait to stitch this up!! So fun, love those double front pockets! This looks useful, super cute, AND like a fun sew! Can’t wait to try it! You make the best patterns!!! Anna! this is awesome! I love it! You did it again. The perfect size and amenities. Who wouldn’t want this duffle? Wow! Thanks for the FREE pattern. I’m looking forward to giving this a try. Those outside pockets are super cute! I was literally just looking at Duffle patterns for a Christmas gift for Alex (he keeps needing to borrow mine). This is absolutely perfect Anna! And I already know that I love your patterns – Hurray!! I LOVE this bag! You are so amazing. LOVE!!! I have been waiting for the perfect duffle pattern to appear. Holy Moly, can’t wait to give this one a go! Thanks Anna! Can’t say enough how much I love it!! Putting this one on my to make list!!! I am going to make one and tell my hubby he has to take me somewhere to use it! Thank you! Anna! this is lovely!! I was considering trying my hand at a weekender but I’m going to give this a try first! do you think I could do a patchwork one?? Any pattern of yours is sure to be a winner and more doable for me than the weekender I’m sure! thanks bunches Kelly! 🙂 yes, it’s done quilt-as you-go style, so for sure you’d be able to do patchwork (and I’d love to see a version like that!). Yes, this should be a bit easier than a weekender just because of the straight sides, overall assembly, etc. I’m diverting with this content and I take into consideration I’ll advantage from this post. give thanks you really a great deal. Unless your machine is really great at going through many layers with ease, yes, I definitely think you need it. I use my walking foot almost all the time, it’s totally worth the investment (usually they’re around $100 or less). Hi! I pinned this bag from Pinterest awhile ago and wanted to let you know that my mom made it for me (she’s a way better seamstress than I am). It turned out great!! The only difference is that she used cotton webbing for the handles and also added a longer webbing strap so that I can carry it cross-body. Thanks for the great pattern!! Thanks for the free pattern. I love it. Random …. would it be possible to do this pattern without ‘quilting’ it? Sure! Just bulk up on the interfacing, Soft & Stable might be a good fit. I finally made one. I love it Anna, thank you so much. The pockets were so fun to make. There were a lot of firsts here for me. Pockets, snaps, metal stamping…. here’s a link to my blog post http://stephzerbedesign.blogspot.com/2014/03/sew-saturday-cargo-duffle-bag.html Enjoy and thanks again! Hi Anna, I am seeing this duffle being sold on Etsy. Because this is a free pattern, is it allowable to sell bags made from this pattern? I would like to make them, but I don’t want to infringe on any rights. Thank you. Thanks for the question. I ask that my free tutorials, etc. be for personal use only, but I’m not sure how it works for Robert Kaufman. The pattern/instructions are on the Robert Kaufman site (linked in the post above). 🙂 Hope that helps! Pingback: New Girl » the pretty little fiber co.
Pingback: Springtime Exploration » the pretty little fiber co.
I’m trying to download this pattern but when I click on download nothing happens……Please help. Wonderful bag. Spent the weekend sewing this bag. I made it slightly bigger to fit my sewing machine. First time quilting and the outcome is great. Good instructions, well done. I am hoping you are still checking these comments! I puchased the kit from craftsy and love the design, but looking at the contrast on the bottom gusset, the instructions say quilt it to stabilise the pocket. I am new to quilting but I dont seem to have cut out any batting or lining for the gusset. Will it be just one layer? Thank you so much for the incredible bag . I have 3 ladies in my circle of friends who are always on the go . This will make perfect gifts for them .